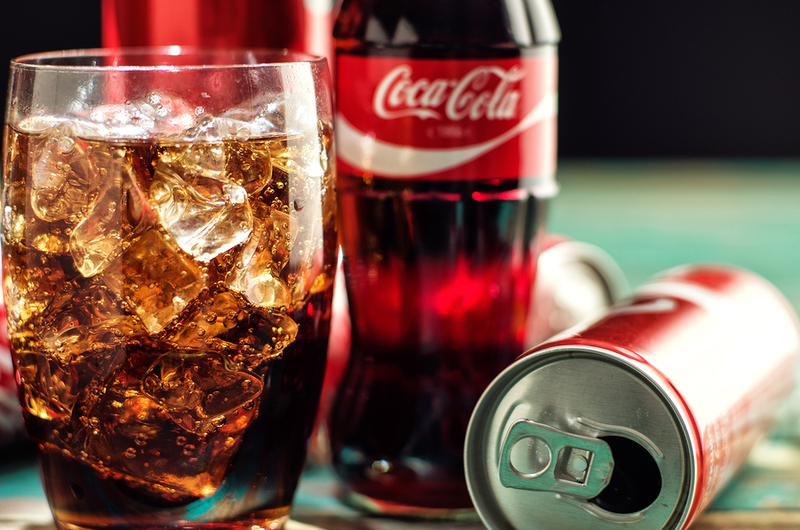 Having a coke along with a burger and fries may seem like one of our harmless, beloved all-American traditions, but you should know that there are many dangers hidden in your soda. Whether it’s due to the fizz or the caffeine boost, soda is one of the most popular sugary drinks on the market. But it’s also one of the unhealthiest beverages you can consume. Soda does not provide any nutritional value and is generally bad for your health. We all know that soda has a lot of sugar. Diet soda is not any better since it contains artificial sweeteners, which are also unhealthy. But that’s not all. Soda also contains several other ingredients that are bad for your health. Clever marketing campaigns and catchy jingles may help sell soda. But do you really know what ingredients are in popular soft drinks? Although it may vary by brand and type, sugar is one of the common ingredients in soda. A 12-ounce can of soda has about 10 teaspoons of sugar. That’s just in one can. Consider some larger servings at fast-food restaurants have two or three times that much. Acids are also in most types of soda. For example, phosphoric acid is added to give soda a tangy flavor. Other acids that are sometimes added include tartaric, carbonic, and citric. Soda may also contain high fructose corn syrup, artificial coloring, flavorings, and preservatives. Side Effects of Caffeine: Many varieties of soda contain caffeine. Caffeine can lead to problems, such as trouble sleeping, jitteriness, and anxiety. Caffeine can also be addictive, which means kicking the habit can be difficult. Dangers of Artificial Sweeteners: Most types of diet soda contain some type of artificial sweetener. Sweeteners, such as sucralose (Splenda), saccharin, and aspartame, are associated with several health problems, including lupus, glucose intolerance, and multiple sclerosis. (6) Aspartame, also known as NutraSweet and Equal, is associated with increased incidence of brain tumors, mood disorders, declining mental function, migraines and seizures. Benzene: Benzene is a possible cancer causing substance that is found in small levels in some types of soda. It has been linked to leukemia. (8) Benzene levels in bottled water are monitored and regulated. But levels in soda are only monitored informally, which means the exact levels may not be known. Benzene forms due to the presence of benzoate salts, which are used as a preservative, and ascorbic acid, which is in certain carbonated soft drinks. When it comes to healthy beverages, water is often your best bet. But when you want something with a little more flavor or sparkle, there are several healthy alternatives to soda. Consider some of the suggestions below. Infused water: To add a little more flavor to your water, try infusing it with fruit, such as berries or oranges. Mint and cucumber also are good options for a refreshing alternative to soda. Sparkling water: Carbonated water is a good choice when you need to satisfy your craving for soda. Although carbonated water can still cause a little bloating and gas, it’s still a healthier choice than soda. Zevia: Zevia is a healthier type of soda sweetened with stevia and monk fruit. There are a variety of flavors, including cola that does not use artificial colorings. It does contain sugar alcohol, which some people may have a sensitivity to. Iced green tea: Green tea is calorie free as long as you don’t add sugar or milk. It is also high in antioxidants and is available in several varieties. So, are you ready to kick your soda habit now? Today there are so many natural and healthy alternatives to soda to help make it easy to make the switch. Make this healthy change in your life and your body will thank you!